Outta curiosity, are the f-sport brakes the same size as IS350 brakes? Also, how do the f-sport brakes measure up to say the other bbks out there, brembo, endless, etc. The F-Sport rotors (front and rear) are ~1" larger than the IS350 rotors. The F-Sport calipers are 6 piston up front, 4 in the rear. The IS350 has 4 piston upfront, and a single piston floating caliper in the rear. The F-Sport brakes are rebranded Stoptechs. I would stick with Brembo, Stoptech and Endless. IMO if you're not going to track than your oem brakes are good enough. Other than that the F-Sport ones are mostly for show. Yea, I read on the other post on here about BBKs not actually helping with stopping distance. I'm aware of that. I'm just utilizing the 20% discount for the f-sport brakes since I think it's a pretty good savings. I'm mostly show no go (hence, I have an IS250 ). What's puzzling to me is, if it really doesn't shorten stopping distance, why didn't Lexus just put IS250 brakes on IS350 and IS-F to save cost? There are expectations in a certain class of car, so they do things that have no functional value....people -think- bigger rotors are always better, so the performance models offer them. In some cases they put on functionally inferior parts (drilled rotors for example) because it's what folks expect the vehicle to have. so the f sport brakes wont stop you in a shorter distance ? Not for a single stop. After the tenth repeated stop in a short period of time, maybe. After the twentieth repeated stop in a short period of time, more than likely. true, makes sense. but f-sport brakes won't be worse than stock is250 brakes right? I believe the explanation was something along the lines of the abs kicking in thus eliminating something and something about bbks apply the same pressure as normal brakes. I just want them because my little is250 brakes look funny with the 19s. I think the 20% coupon off f-sport is a good deal. I think they look better than stockers. Well, they'll stop the same... but they (the F-sports) are drilled, so they're inherently more prone to cracking than if they weren't drilled for no benefit but cosmetics. For casual street use this isn't typically a problem though, and they're at least a quality brand. The explanation is that the brakes don't stop the car, the tires do. 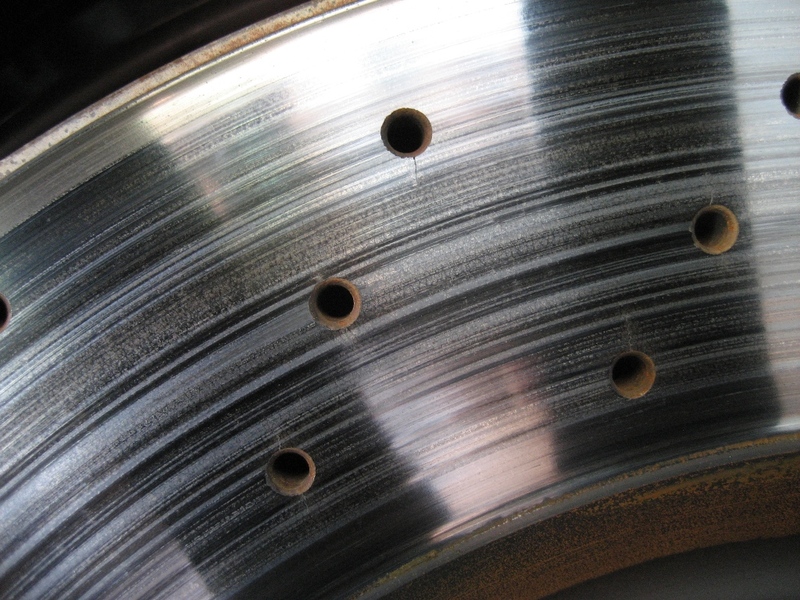 No matter how fancy or big your upgraded brakes get you will, every single time, be limited by the traction between the tire and the road... which is a limit even bone stock brakes can exceed. I've never noticed brake fade on my IS350, even with some spirited mountain road driving, so for a street driven IS350, is there any practical advantage to upgrading the brakes to the F-Sport, Brembo, or whatever? And how about for you guys that track your cars, any advantage there? None whatsoever, which was kinda the point. For the track, it really depends. I took my F to Carolina Motorsports Park a couple of weeks back and the brakes worked extremely well as long as I turned off the stability controls. 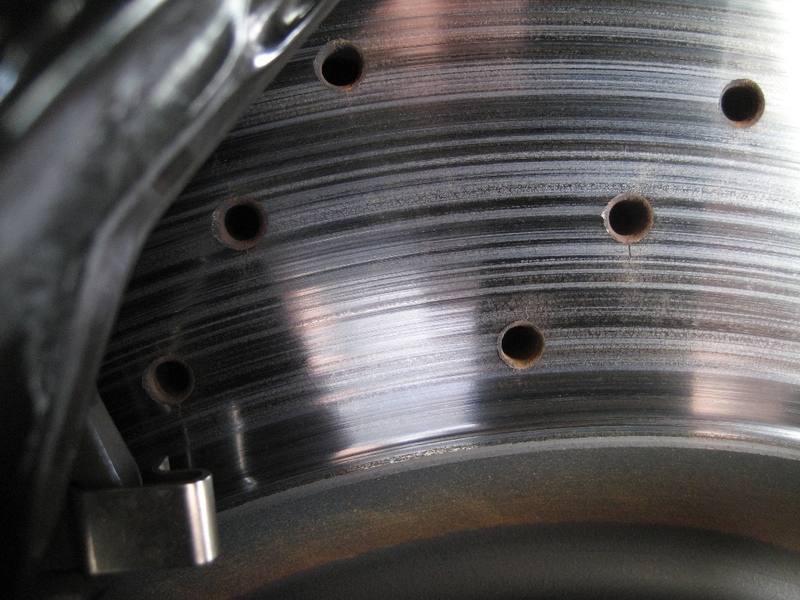 VDIM will apply your front and rear brakes without really telling you what's happening and cook your pads. If you turn it off, your pads will like you a whole lot better. I really don't know if the 350's brakes are up to a track like CMP, but at a track not too hard on brakes, you could just change pads, bleed with fresh fluid, and expect to have a pretty good day. In all cases, if you can rig up some ducting to blow into the center of the backside of the disc, you'll help your brakes a lot. Keep in mind, even at CMP with the stability controls on, I had no problems until the fourth half hour session of the day with Carbotech XP-12 pads in the front and XP-10s in the rear. The rear brakes hardly even got warm, but the balance was good - I could feel the rear end hunting from side to side under very heavy braking. I plan to hit up a couple more tracks this year - Road Atlanta and Roebling Road, or I'll swap RA for CMP again. Not sure right now, but I'll have more data after some more track time. And as Kurtz mentioned, I cracked both front rotors - not past serviceable yet - with just one hard track event. They may be Brembo, but they can't defy physics. Last edited by lobuxracer; 07-07-09 at 08:10 PM.